Tansu Yachts has exclusively revealed two new superyacht projects to Boat International. The Turkish yard will be responsible for the concept design, exterior styling, interior design and construction of the 37m and 38m motor yacht projects. Diana Yacht Design will take on the naval architecture and engineering, following a successful collaboration on Tansu Yachts’ last launch, 34m Only Now. The first of the new projects, 37m So’Mar, will feature an upper deck dedicated to the owners with an aft master's cabin, spacious exterior deck and lounging areas. The yacht is under construction at the yard, with the keel laid and hull construction ongoing. The second project, 38m Cutlass, follows in the wake of 2011 launch Bartender (ex-Nomade) as part of Tansu Yachts’ Mothership series, which includes models from 30m to 42m. The Cutlass design is based on that of Nomade, with modifications including an internal stairwell for easy access to the upper deck, an upper deck sky lounge, a re-designed captain's cabin and changes to the crew area, plus a larger cold room and laundry. Engineering is in the final stages and the yard will cut steel for Cutlass in December. 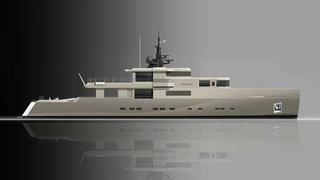 The yacht will be built on spec and David Legrand at Fraser Yachts is the central agent for it, as well as for the rest of the Mothership series.